Hanamichi Sakuragi, an entering Shohoku high school freshman holds a record for being rejected by 50 girls during middle school. His nearly 2 meters height and bright red hair causes most students to write him off as a delinquent. One day, a girl named Haruko Akagi approaches Hanamichi without any fear. When she asks Hanamichi: "do you like basketball?" Hanamichi falls head over heels for the girl of his dreams. Without missing a beat, Hanamichi tells her he loves basketball, and the two head to the gymnasium where Hanamichi learns about the slam dunk. 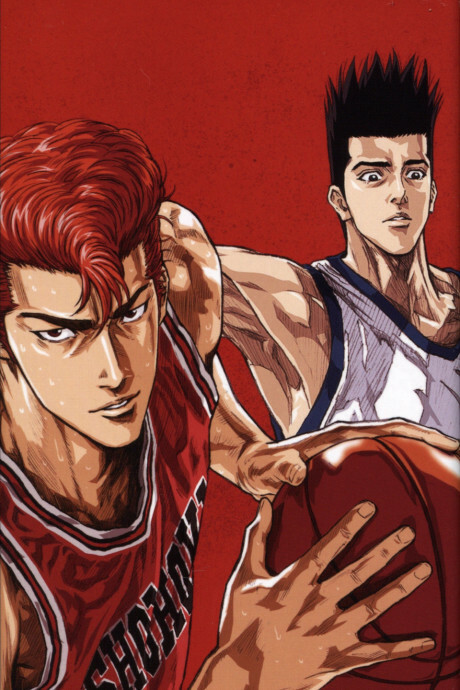 He also learns of Rukawa, one of the country’s top basketball prospects, also a freshman at Shohoku. Episode 1 - Birth of a Basketball Genius!? Love, basketball, and the birth of a genius.